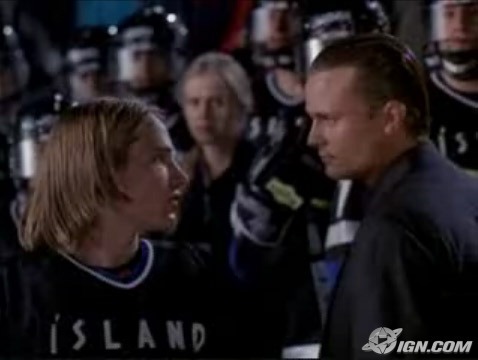 The Jonathan Franzens of the fictional under-14 international hockey circuit. I used to hear it said that, demographically speaking, science fiction readers skewed working class and literary fiction readers skewed middle class. And I never believed it. After all, reading is a pretty effete, high-brow activity, no matter what book you’re holding. And, furthermore, SF seems very closely associated with engineering and coding and other middle-class technical professions. But then I came to the Writing Seminars and realized that there is a substantial class divide between the two. I’ve been to both an MFA program and to the Clarion Writer’s workshop*, and met very different types of people. At my MFA, most of us are very young–rare is the person who is over 30–and most of us didn’t have careers before coming here. And almost all of us went to an elite college: Stanford and Yale are overrepresented; most others either went to a top 10 public university or top 10 liberal arts college. Almost all of us have degrees in English. Furthermore, despite our actual class background, everyone I’ve met in the creative writing world has had that upper-class polish. It’s something I noticed at Stanford: no matter your class, race, or country, within a few semesters we all started sounding the same and acting the same and operating according to the same values and principles. Top colleges whitewash you by teaching you how to ape the mannerisms of the managerial (note, I didn’t say ruling) class—it’s pretty much the main thing you’re buying with your $50k a year. Additionally, the people in the creative writing world tend to be very good-looking (also a class marker!). Whereas if you meet science fiction writers who are at the same level of their careers as us, there’s something very different about them. They always have jobs: often career-track jobs. Their degrees are generally not in English. They tend to be older. Oftentimes, they didn’t pursue writing seriously when they were in college. They’re not as polished and don’t seem to be from as affluent of a background. Interestingly, the literary world (to my eyes) seems to have many more women and people of color than the SF world. But even this has something of a class-based tinge to it. In America, there’s a long history of working-class whites-only populist movements (i.e. the Progressive Party, the Tea Party), and I feel that the SF world draws heavily from the same populations that fed movements like those. Furthermore, there are, of course, commercial genres (YA, romance, women’s fiction, chick-lit, and [I believe] mystery) that are composed almost entirely of women. Doesn’t this sound awful to you guys? A major university—the recipient of tons of federal research dollars—is paying very privileged people (including me) tens of thousands of dollars to do work that is of little value (since we’re not yet that good) to mankind or society. And beyond that, there’s a whole system of grants, fellowships, professorships, etc, that only go to people who exist within the creative writing industry (i.e. not science fiction writers). Obviously, those things are very hard to get. I will probably never get any of them. But that’s not the point. The point is that the people who DO get them tend to be people like me: very privileged, very upper-class people. Which is absurd. And it seems like exactly the wrong way to design a system that’s meant to support art which isn’t commercially successful. Because, beyond even the genre / literary distinction, the creative writing industry systematically shuts out would-be literary writers who are from less-wealthy backgrounds. For instance, the fact that MFAs are used as such a gatekeeper in the literary world adds several major biases into the whole pool of literary writers. It excludes all kinds of people can’t really afford to leave their lives for two years to get even a very well-funded MFA: people who have kids, people who have careers, people who discover writing late in life, people with disabilities. And those people are shut out of the other goodies, too! They can’t go to summer conferences or take off two months for Yaddo or move to Wisconsin to take up a Creative Arts Fellowship. And without those markers of distinction, it’s much harder for them to publish in journals and get professorships. And if that wasn’t sickening enough, there are also so many other hate-worthy aspects of this system. Like, literary writers pretend that their lives are so difficult and that they’re so underappreciated. But it’s actually not as emotionally difficult to be a literary writer, because you get praised at every step of the way. Your undergrad professors say you’re good, so you go to grad school. Then your grad school professors say you’re good, so you send out your stuff. The journals start accepting it, so you apply to fellowships. There are so many tiny little ways to be validated. Like…if we gave even a moment of thought to it, we’d realize that the insurance claims adjuster who finally hits it big with their novel where Bigfoot falls in love with Dracula is a much more—one hundred times more—heroic figure than the Stegner Fellow who uses $43,000 a year from Stanford University to pen a sensitive novel about what it was like to be a sensitive kid who grew up in insensitive surroundings. For the latter person, their travails were substantially decreased once they got to college. Whereas the insurance adjuster’s struggles increased day by day—as everything in their life conspired to pull them away from their writing—and it was only through major force of will that they persevered and kept going. But here’s the worst part! No one is even willing to admit that the claims adjuster has it harder. The claims adjuster will get mocked and denigrated, not just by the creative writing establishment, but also by the sort of higher-toned SF writer (like me) who has spent a little time within the creative writing world. And then, to make matters even worse, a tenured professor of creative writing will get up and give an interview where they publicly complain about the tragedy of their lives: no one wants to read them, literature is dying, etc. Which, alright, fine, the publishing industry is obviously not the healthiest thing in the world right now. What I just want to point out though is…the complainant is often a person whose writing won them a job that pays $60-100k for life. Whereas even extremely successful genre writers will, most probably, fall out of fashion and eventually die in poverty. Like…if anyone should get to go off on those stupid rants, it should be someone like Michael Cisco. Unfortunately, the really obscure writers are too obscure to be able to spout off in major newspapers and magazines. There’s a glaring contradiction built into the whole “woe is me” literary fiction pose…which is that you’re obviously powerful enough to still be able to broadcast to the world about how awful your lives are. Whether you are rich or poor or black or white or Democrat or Republican, this whole set-up is probably, on a visceral level, quite repulsive to you. The creative writing industry is so colossally unfair that it’s staggering. And I don’t just mean how privileged kids don’t need to work as hard or suffer as much in order to become writers. If that was all this was, then it wouldn’t even be worth writing about: privileged people always suffer less…that’s what it means to be privileged. What I’m talking about is how the privileged kids are then celebrated more. Like, if we’re gonna shove down and ignore the whole crowd of aspiring Bigfoot <3′s Dracula writers, then we should at least have the decency to be impressed when one of them breaks out and succeeds. While there are many parts of the SF world that I don’t like, I have to say that it continues to hold my emotional sympathies. Siding with literary fiction is like watching The Might Ducks 2 and rooting for Iceland. *Re-reading this entry, I realized that the comparison between an MFA program and Clarion might not be exactly correct (although there’s no real MFA analogue for commercial writers–the closest might be certain low-res programs like Stonecoast), and that the better comparison might be between the Sewanee Workshop and Clarion. Still, when I went to Sewanee, the demographics were still pretty similar to what I described here, with the exception being that it skewed slightly older than the MFA. I find that the left-wing academic world is often pretty good at pointing out inequality and barriers…but usually has a hard time noticing the beam in its own eye (e.g. professors are much better at criticizing the treatment of Palestinian laborers than they are at noting the treatment of American graduate students without stipends and with no chance of ever getting tenure). Despite the fact that I went to an Ivy league school and got an arts degree, I mostly side (to the degree that one should “side” at all in this; perhaps a better word is “identify”) with the laboring-in-obscurity professional. That said, I do find that the working class writers can be a bit insular themselves (sometimes willfully insular) in their rejection of the refinement and skill that other writers bring to the table. For example, in the ongoing Baen vs. Tor culture war (Tor partisans may not know – or admit – that there is such a culture war going on, but the Baen folks sure do), it’s right and reasonable for the Baen partisans to decry the systemic social exclusion based on politics…but the Baen folks do themselves no favors by not acknowledging that Tor publishes a lot of stunningly good writers, and Baen does not publish works with the same degree of literary sophistication. There’s nothing wrong with admitting the truth, and saying alongside “I enjoy Larry Correia’s stories…and I acknowledge that Michael Swanwick and Gene Wolfe are great writers”. It’ll be interesting to see how this plays out with the growth of self publishing. I don’t think the privileged / insider clique will go away (if there’s one constant of human nature, it’s that groups try to persist and maintain privilege), but I do think that things will change. Maybe there will be three teams (“Tor”-academic / “Baen”-middle-class / indie-punk-rock), maybe just two, maybe something else. Yes, I agree with everything you say here. The subtext to my post is that while my emotional sympathies are with the populist writers, I find that I tend to enjoy the work of the more rarefied writers a bit more. The problem is just incentives. My tastes happen to align (to some degree) with those of the academy, and if you write that kind of rarefied work and you’re good at it, then it’s very hard to turn down the kinds of rewards that the academy is capable of offering. However, in doing so, you’re co-opted (as I have been) into this system. > . The subtext to my post is that while my emotional sympathies are with the populist writers, I find that I tend to enjoy the work of the more rarefied writers a bit more. I hadn’t quite gotten that subtext (although it’s perfectly compatible with everthing that I did take away from your post). This is exactly my set of (divided) loyalties too. > you’re co-opted (as I have been) into this system. I don’t think I’ll ever be offered the chance to be co-opted – both because it’s not clear that I’ve got the talent, and because I’m very much in the professional career track (20 years as an engineer, outside of the big cities, no scenario where I could dedicate a few years to an MFA, too old, etc. ), but it is always interesting to see how various systems encourage one to “snap to grid” (to use a Photoshop metaphor). Some people with your profile have been “co-opted” (George Saunders springs to mind), but yeah. Less likely. As a grad student in social psychology, I feel like this is a similar sentiment that is felt by folks getting most advanced degrees. A PhD in social psychology is an incredibly difficult weeding out process, in which the people who have the most invested in getting the rewards of academia–intellectual prestige, no one can tell you you’re wrong, you can come up with ideas all day as a job, people in the media listen to you–are those who end up successful. Often that is the Kanye type, who thinks everything they do is wonderful and groundbreaking. Folks who learn practical psychology through the trial and error of living a complicated life are often those who are least able to contribute to academic psychology. Also, research methods often get boiled down to the simplest thing that can get you the next publication so you can get tenure, as opposed to tackling a tough question, like how we translate hard-won psychological wisdom into real claims that can be evaluated. Yes, the immense time-scale involved in submitting to academic journals (whereas when you submit to literary journals you just submit the same story to 20 places at the same time) seems like it adds a huge number of strategic calculations to the mix. It feels like even when you’re pretty early in your grad school career you need to already know where to submit and what kind of stuff to do. And the people who’re gonna know those things are the ones who have a lot of familiarity with academia, either through family or because they were able to get in good with some professional mentors. The ones who spent a bit more time figuring things out are going to have a much harder time of it. By the way, I really like your blog as a vicarious way to live out a dream of a writing career. I have thought a lot about that post you made on just doing what makes you happy now, and not always living for some delayed gratification in the future. The idea of living how you want to right now is simple but often times super hard to stick to. I have interpreted that blog post to mean that I should waste a lot of money playing golf. OMG I love this post so hard. I love the “snap to grid” analogy. Also the acknowledgement that the system is inherently classist. Not sure you can truly be co-opted, though, if you already went to Stanford. Co-opting is for someone who can’t attend Stanford, yet somehow achieves popularity or fame — so the academy hires them for a fat salary to get them to stop coloring outside the grid. That’s true. No coopting for me. I opted a long time ago! Nice post! None of my favorite writers got MFAs. Those programs tend to produce a certain airy, weepy, self-absorbed prose that bores me. I want intelligent thought in my fiction, but based on life experience (even if exaggerated for the story). I’m a better writer in my 40s than I ever could have been in my 20s, because when I write about loss or failure, it’s not an abstraction (or amplification of depression). And yeah… I write scifi. But I got an English degree from a top liberal arts college, so I know the class issues of which you speak, yea verily. You said a mouthful there, not only about the literary world but society in general. Enough hard power that people hear them, and enough soft power that people take them seriously and care about their complaints. Yeah, the literary world actually is pretty powerful. I mean, every student in America has to endure an hour a day of literary education for the entire twelve years of their schooling. That’s a lot of brain-time. Imagine devoting that much time to a music class or television class or even a computer class. And it’s a testament to the amazing sell-job that literary people have done, to the world, regarding the importance of their artform. Which is not to say that’s not important…just that they’re obviously in a better place than many disciplines are. Yes, I’ve heard good things, and I think it’s produced a few good commercial-fiction writers. There are full-time postgrad courses that specialise in genre fiction – just not in the US. I teach part-time at the Creative Writing MA at Edinburgh Napier University in Scotland – http://www.courses.napier.ac.uk/w54718.htm – http://macreativewriting.blogspot.co.uk/2013/07/admissions-process-for-ma-creative.html – and at least 20% of our students each year are from North America. They come to our course because it embraces genre fiction [specifically SF, fantasy, horror, crime] alongside writing graphic novels and creative non-fiction. Our students range from early 20s into their late 50s [yes, even the Americans]. We’ve had Malaysian students, African students, Italians, Australians – we have three German students this year – all attracted by the chance to write genre fiction in a supportive, professional environment. Oh, and we don’t do peer review workshops. Or poetry. I tell people that at conferences like AWP and they look at me like I’m an alien. Yes to genre, no to peer review workshops or poetry. Shocking, but true! Yes! I have heard something about this. There’s also a school in the UK (Manchester?) there where Geoff Ryman is a professor, which sounds pretty cool. No workshops?! That is pretty crazy. Is it all done on a tutorial system, then? Instead of peer review workshops, students are set weekly writing challenges – generally five days to write an original story of 500-1000 words with a specified brief or constraint. At the next class all students are given a set of questions designed to prompt critical self-reflection and ten minutes to work through their answers. After that, 4-5 students are asked to share their stories with the class – and also share their critical self-reflections. Then the tutors give professional editorial feedback to the student in front of their fellow students i.e. masterclass-style feedback. We engage the student in a conversation about their work. Once all 4-5 have gone through this process, we ask the rest of the students to individually articulate the particular piece of feedback or writing challenge that stood out for them from the process. The replacement of peer review workshops with critical self-reflection is a bold step but we’ve found our students blossom with this approach. It does wonders for esprit de corps, prevents any flattening of individual student ambitions or differences – and it instills real world professional rigor. When a writer hands in their novel, the editor doesn’t usually invite a room full of other writers in to offer feedback!